April 11, 2018  A new collaboration between songwriters and mutual admirers explores human nature. Hear the first single from Arthur Buck, the chiming "I Am the Moment." November 2, 2017  Michael Stipe and Mike Mills share some of the stories behind the band's landmark album and how it became an unlikely hit. October 5, 2017  On the album's 25th anniversary, we revisit the band's original interview with NPR, from 1992. March 30, 2016  The former R.E.M. singer made a rare appearance on The Tonight Show ahead of two David Bowie tribute concerts scheduled this week in New York City. 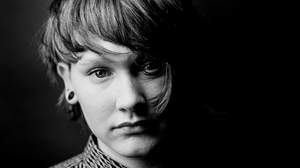 July 14, 2015  SOAK, one of All Songs Considered host Bob Boilen's favorite new artists for 2015, spins some of the songs that have influenced her own work, and talks about her new album. October 21, 2014  MTV premiered R.E.M. 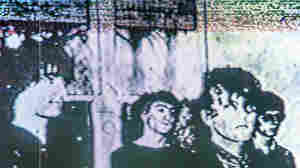 's first music video in the summer of 1981. On Nov. 24, the network will release REMTV, a six-DVD set that includes live performances, television interviews, and a new documentary. 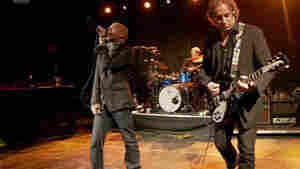 March 12, 2008  After 25 years as one of the most beloved and acclaimed bands in rock, R.E.M. needed a shot of adrenaline to get fans excited again. In advance of a new album, the group performed a set on March 12. October 25, 2009  During a five-night residency in Dublin, Ireland, R.E.M. 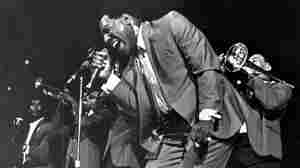 tested out new material for its most recent studio album and played some of the least-heard and earliest material from its extensive catalog. 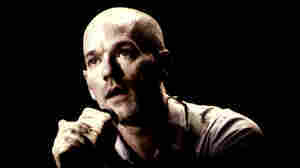 Frontman Michael Stipe talks about the band's new concert recording. April 9, 2008  The band R.E.M. has released its first album in four years, Accelerate. 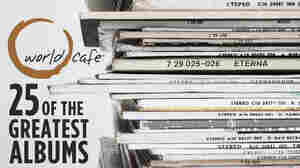 Critics have been describing the disc as a "comeback," saying it's the band's best album in ages. Michael Stipe, Peter Buck and Mike Mills join Terry Gross for a conversation. March 24, 2008  R.E.M. isn't exactly religious, but spiritual themes do creep into its music. 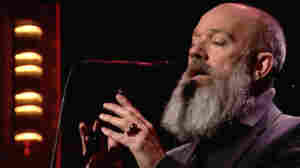 Singer Michael Stipe says he comes from a "place of faith," and that generations of men in the Stipe family have been Methodist ministers. 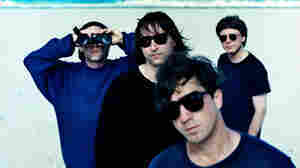 Widely billed as R.E.M. 's best album in ages, Accelerate takes inspiration from religious issues. April 11, 2007  Up! 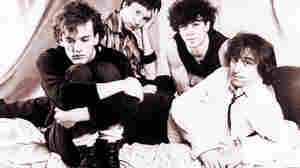 is the great misunderstood R.E.M. album, a noirish cycle filled with unsettling songs and "environments" that are brooding worlds away from the group's jangle-pop hits. Heard on its own, apart from the rest of R.E.M. 's output, it emerges as a graceful studio exploration. 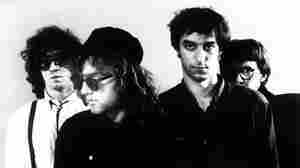 March 14, 2003  Scott McCaughey is a fixture on Seattle's music scene. The co-founder of the Young Fresh Fellows has never quite achieved the success other Seattle musicians enjoyed, but he gets by as the unofficial fifth member of REM. For years, he's had his own unofficial band called The Minus Five. 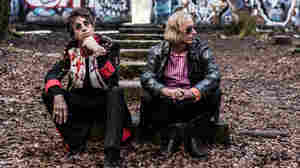 Unofficial band-mates on a new CD include REM's Peter Buck and Wilco's Jeff Tweedy. Marcie Sillman reports. January 13, 2012  "Sweetness Follows" helped novelist Thomas Mullen through his family's financial ruin. November 16, 2011  In September, the band that rose from the kudzu-covered town of Athens, Ga., to dominate college radio and sell nearly 85 million albums worldwide announced it was breaking up. 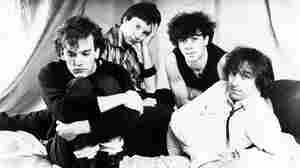 Singer Michael Stipe and bassist Mike Mills discuss R.E.M. 's 31-year history, and the end of the band as we know it.